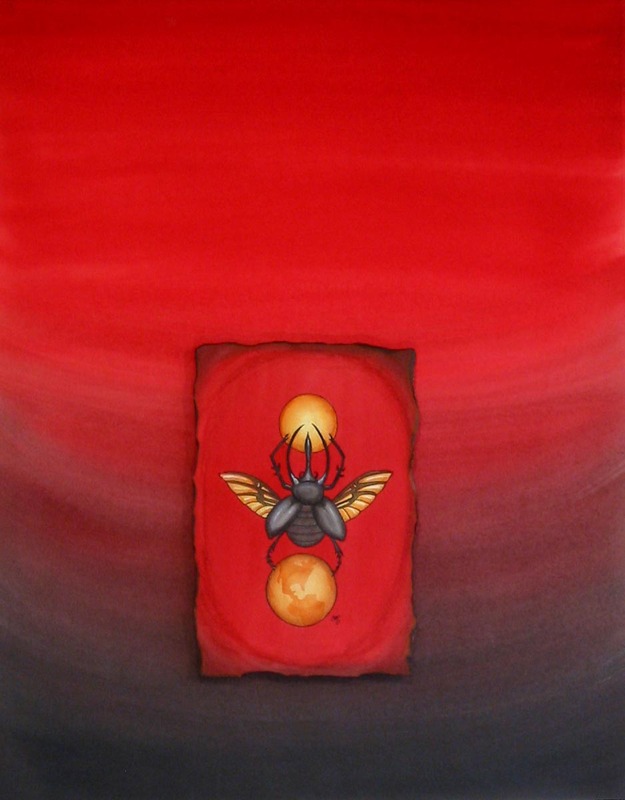 I chose the dung beetle, or Scarab because it represents the concept of recycling and renewal. The Scarab in an ancient symbol whose behavior of maintaining spherical balls of dung represents the forces which move the sun. They create new live out of waste and death. Millions of amulets were fashioned in Ancient Egypt depicting the sacred scarab beetle. In my bug research I also found many photos of beautiful horned, or Rhinocerous beetles, which were too beautiful to be ignored, so I decided to incorporate them into the more traditional, hornless dung beetle. Original painting 25″x 29″. Sold.